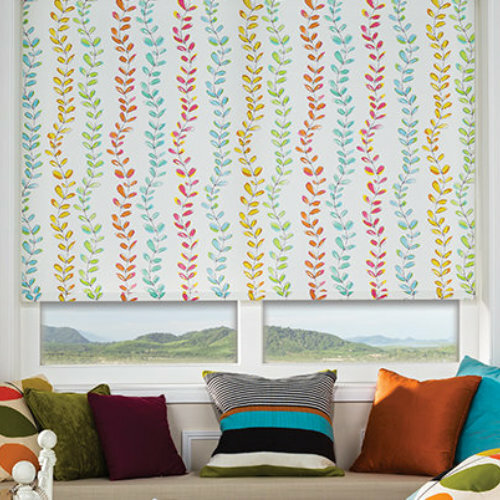 Contemporary and traditional styles can be applied to any of our huge range of fabrics, so each roller blind is really designed by you and in many cases is unique to you. Roller blinds can offer that charming, yet practical touch to anywhere in the home, the lounge, kitchen, bedroom or nursery. Black-out fabrics are always available and now come in a range of colours and designs that are both practical and beautiful. Specialist fabrics are available for bathrooms, wet-rooms or shower rooms. Choose from a wide range of fabrics and finishes and accessories to create a blind that is tailored completely to your needs. With a simple wheel motion roller blinds are easily activated by pulling the cord. Remember to ask us about our child safety cord controls which we will happily fit for FREE with any blind purchased (please note that some controls are not available for vertical blinds). We also stock these safety controls in our showroom for your existing blinds for only £1! Control Options: Choose the side you want to control your blind, left or right.